The title of the show came from one of the producers jokes. Armando Placencia will be hosting this event and is the co-creator of Brownz & Tannerz. His clever joke brought to light his childhood friendships as a latino growing up in a black neighborhood. 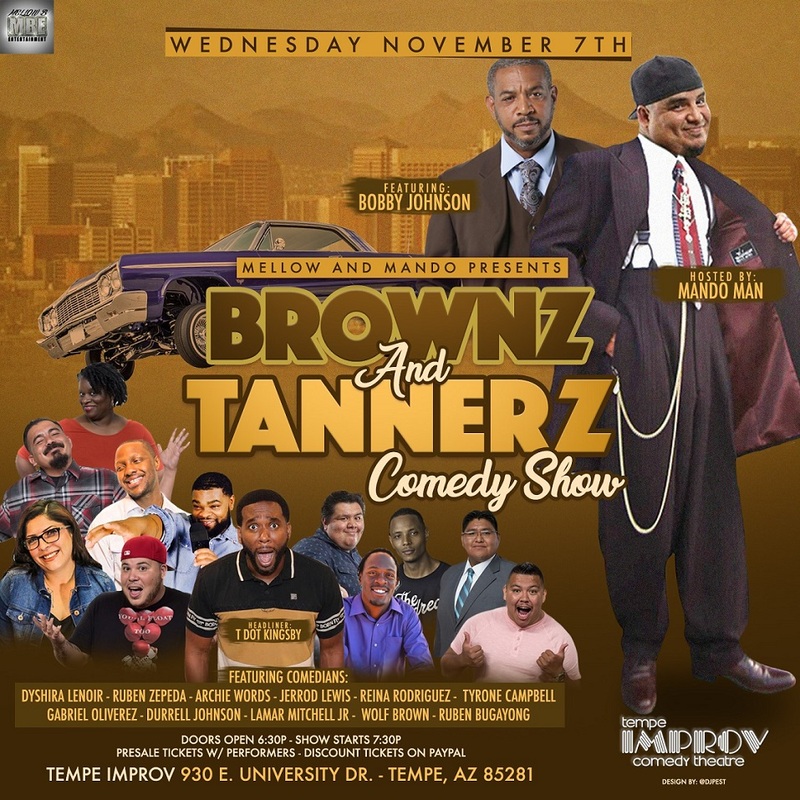 This show will bring the best comedy from our Brown Latino friends as well as our Tanner African American friends, together we are Brownz & Tannerz!!! Join us on November 7 at the Tempe Improv. Doors will open at 6:30 and the show will begin promptly at 7:30.